The term ‘occupation’ simply refers to things you do every day. These activities can include showering, dressing, cooking, gardening, shopping, cleaning, recreation or moving about in your home. It’s the role of the OT to listen to the difficulties our client is experiencing and assess our client’s ability to manage these tasks. With an understanding of the client’s current ability and with their goals in mind, an OT can then provide a report outlining any resources, equipment or modifications recommended. 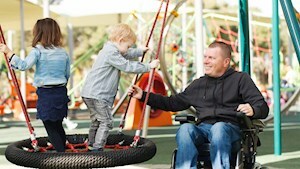 The OT can also suggest further treatments or services available in the community to assist. When might I need an Occupational Therapist? Sometimes your doctor, nurse or other health professional may suggest an Occupational Therapy assessment to assess the home environment for any potential hazards or recommendations to improve your safety. This type of assessment can be part of a fall prevention plan. There are many factors that contribute to our safety at home and this can include the physical environment, medical conditions, mobility and balance, medications, and footwear. An Occupational Therapist is trained to consider all of these factors and how they can impact on one another. They can then make suggestions to help reduce your risk of falls. Before a planned operation such as a total hip or knee replacement, an OT can prepare for your transition from hospital to home. An assessment prior to your surgery can often help make the transition home a lot safer and easier for yourself and the hospital staff. If your home is well set up with any necessary equipment, modifications or support in place, it can sometimes result in a less stressful and quicker discharge home. After an injury or illness, an OT can work with a client to identify short and long term goals for recovery. This may be the ability to safely return home from hospital or improve your independence at home. An Occupational Therapist can make recommendations for equipment, modifications or assist with training carers how they may be able to support you. They may also provide treatment or exercises that can help with your recovery. Examples may include rehabilitation after stroke or an upper limb injury. Who pays for Occupational Therapy? Enhance OT charges an hourly rate for our services. Services may be funded by an individual or as part of a contract. Enhance OT is able to treat Department of Veteran’s Affairs (DVA) entitled persons. DVA Health Cards (Gold and White) are accepted as payment upon a GP referral. White card holders must be treated for their DVA accepted condition. You may be eligible for a rebate if you have Private Health Insurance with extras cover. Clients should check with their health insurer to establish if they are eligible for a rebate. 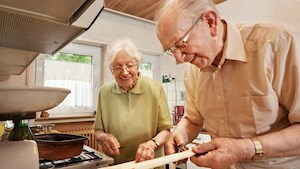 Enhance OT accepts referrals for Medicare OT items. For more information on Medicare Team Care Plans or Chronic Disease Management Plans, clients should discuss with their GP. Payment terms are 14 days and we can accept cash, cheque, electronic funds transfer and credit card payments by phone.